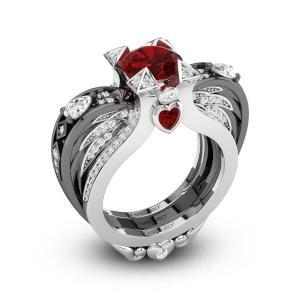 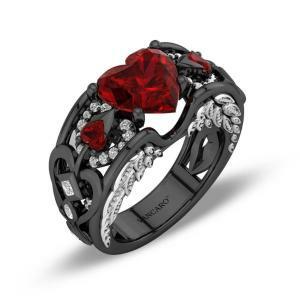 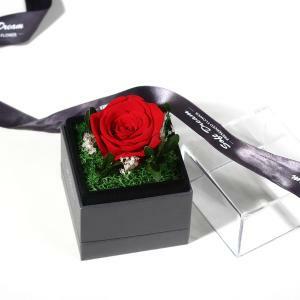 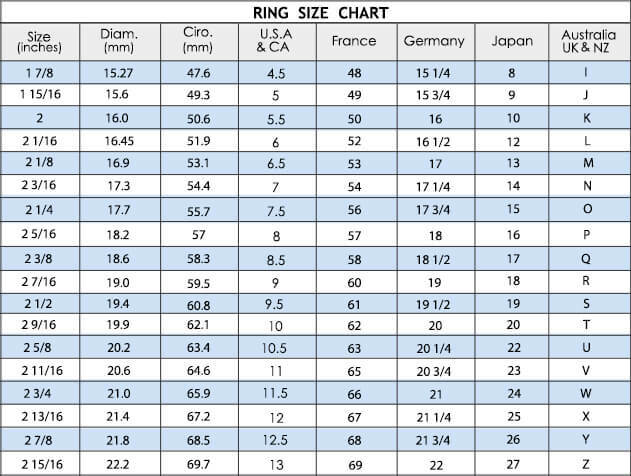 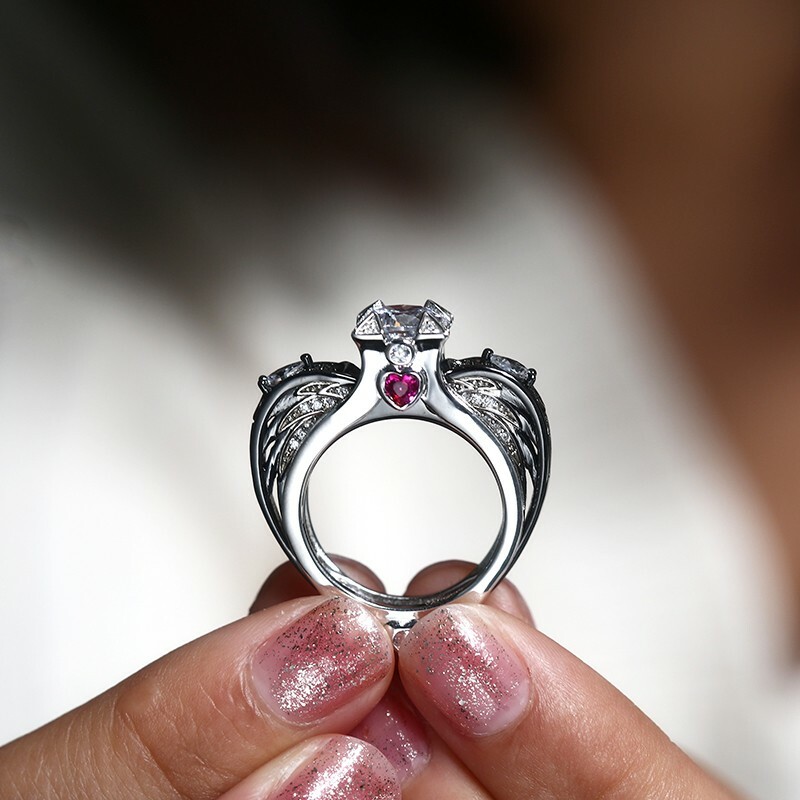 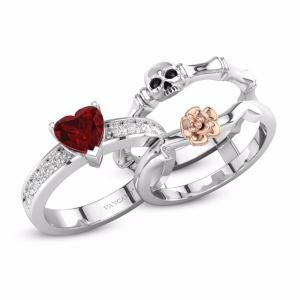 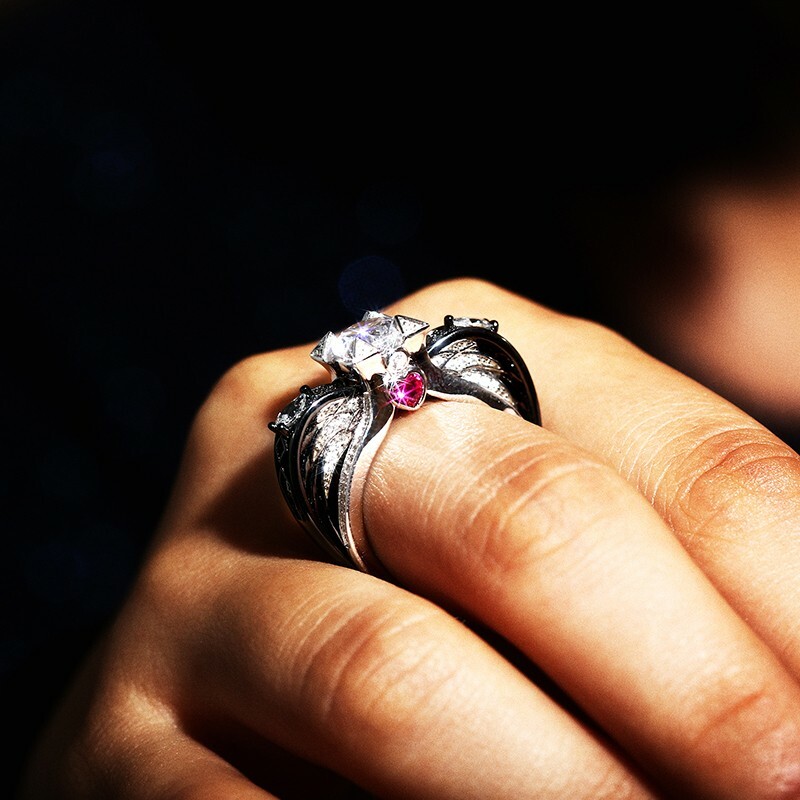 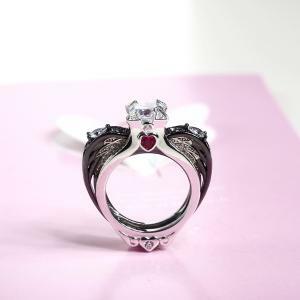 Every man has an angel in his heart, but how do you capture angel's heart without this ring？Legend has it that everyone is an angel with broken wings, and the complete happiness only can be gained from the other one's protection. 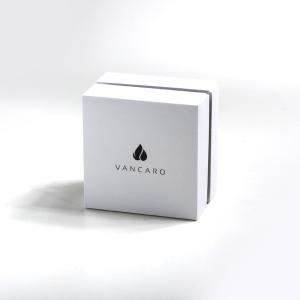 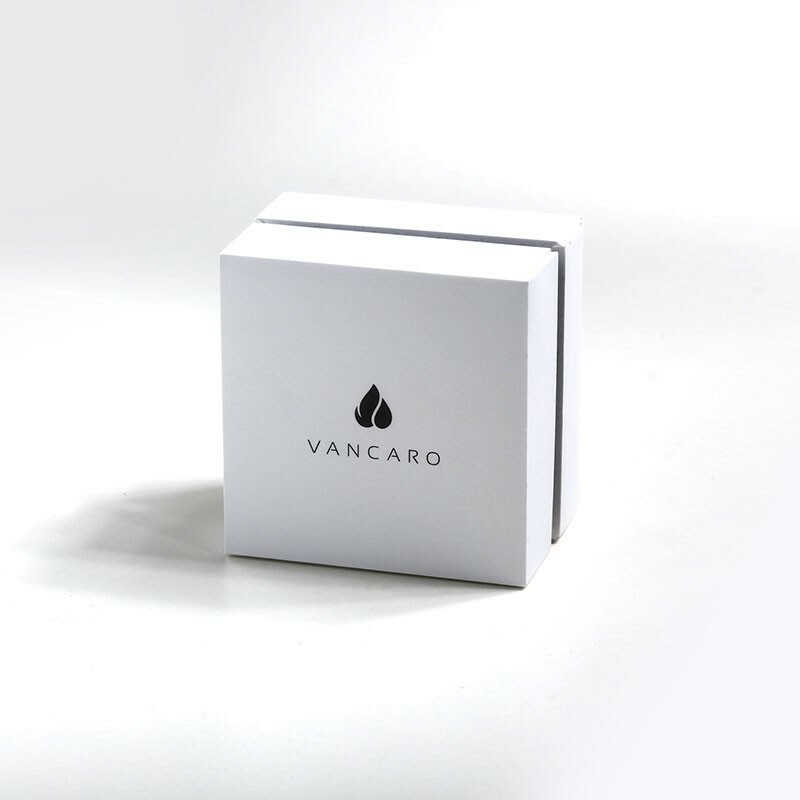 Inspired by this, VANCARO presents a special edition of "Guardian - Angel Wings". 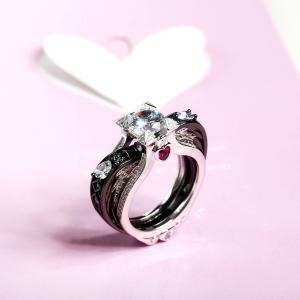 Wearing it, needless to say, I'll do everything to protect your happiness. 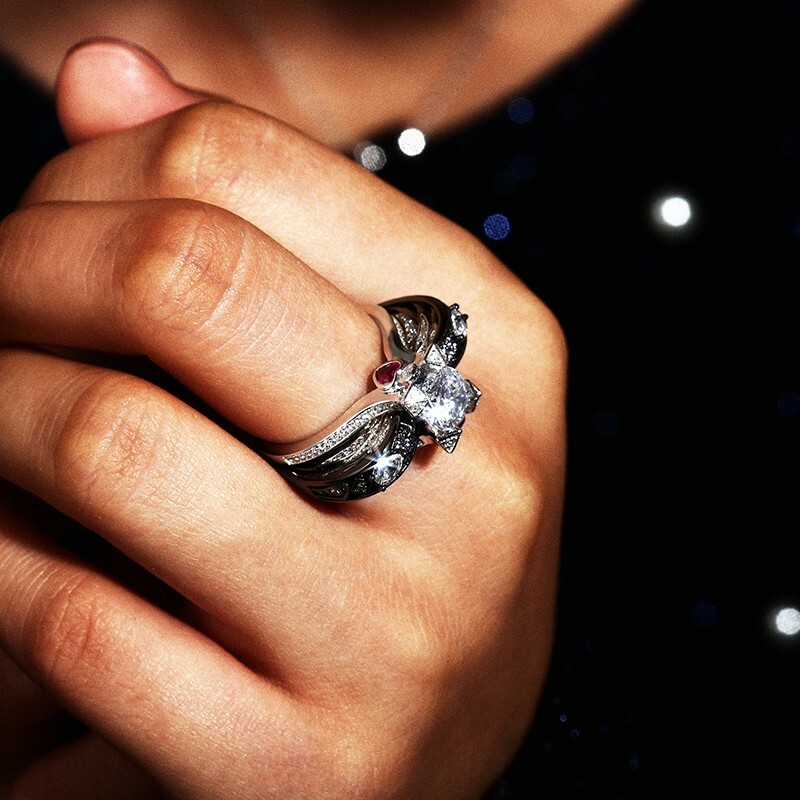 Adorned with 18K white gold, this hand-crafted angel wings show natural luster, fine texture and rich layers. 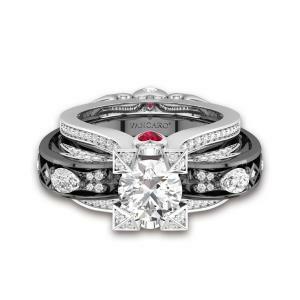 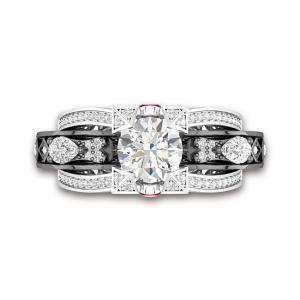 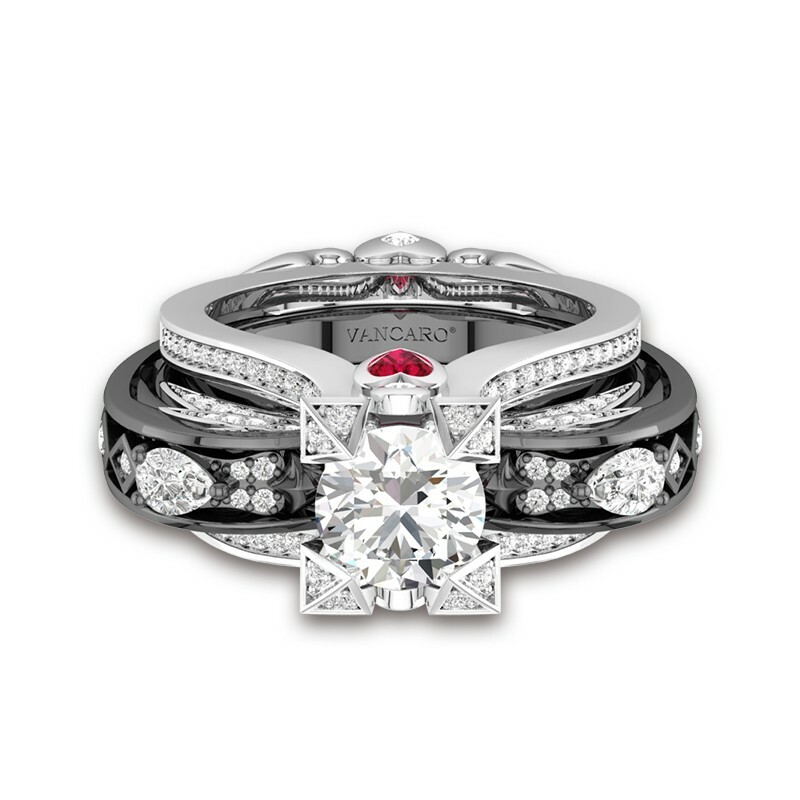 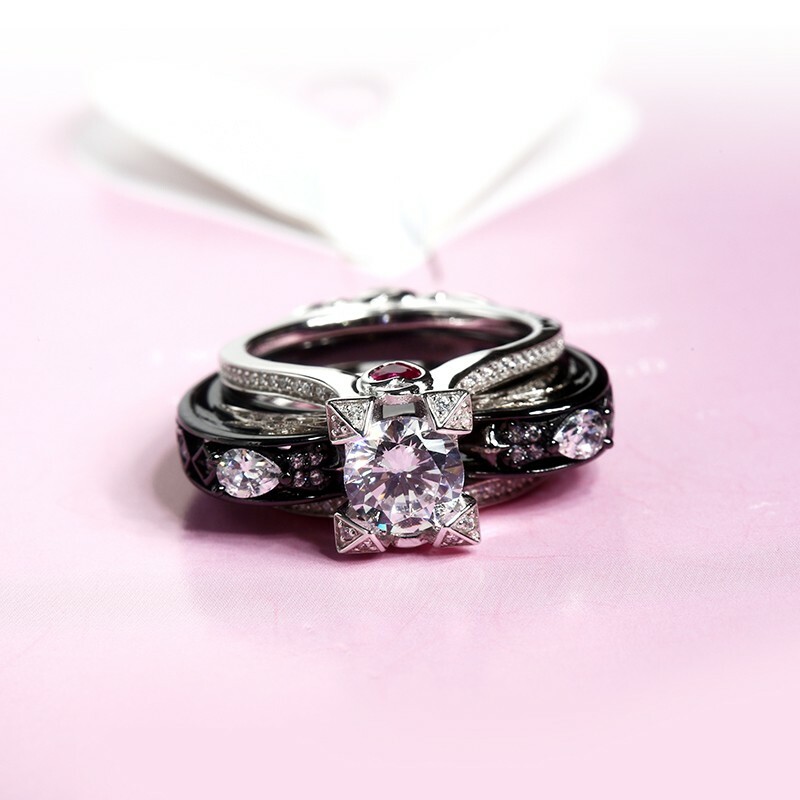 Wrapped in black rhodium, the matching with black and white will never go out of style. 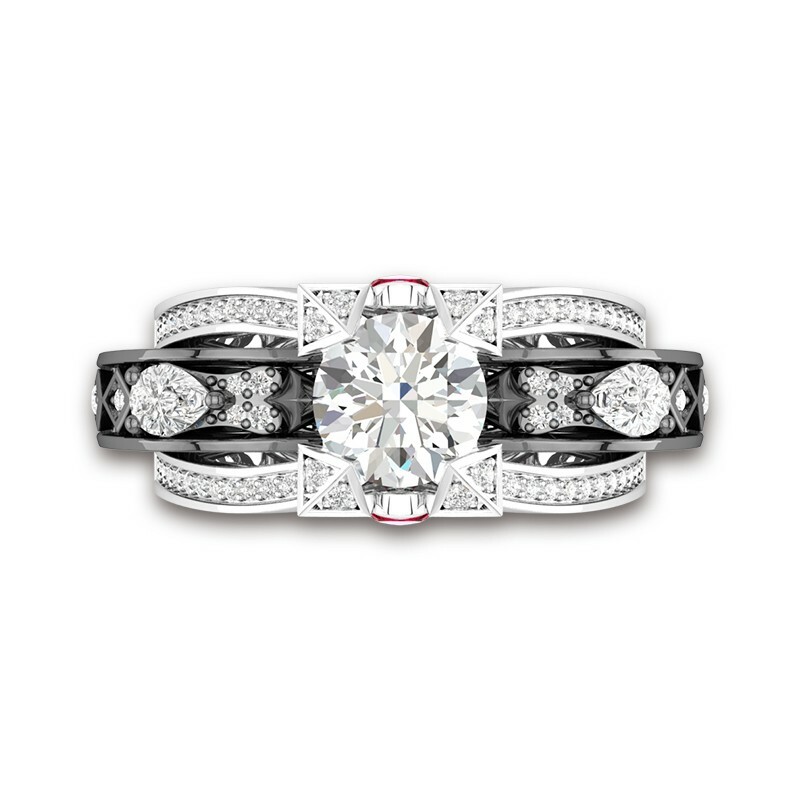 Small stones studded in four prongs to double the sparkling brilliance of the princess-cut main stone, complement the luxury and shine. 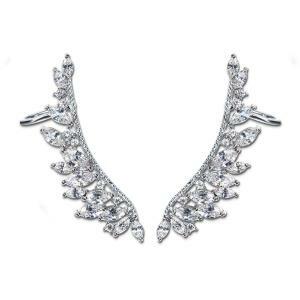 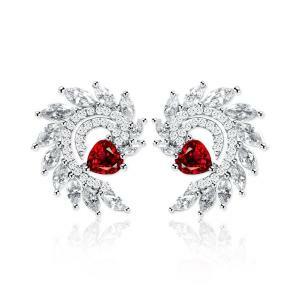 Different from the ordinary angel wings jewelry, the enhancer design is perfectly integrated with the angel wing, which shows the unique style of VANCARO. 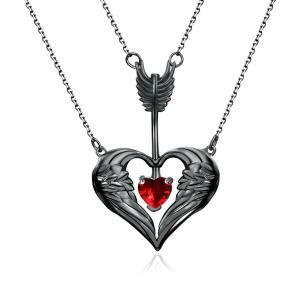 If she is the unique angel in your heart, this guardian-angel wings will be your perfect choice you'll never go wrong with. 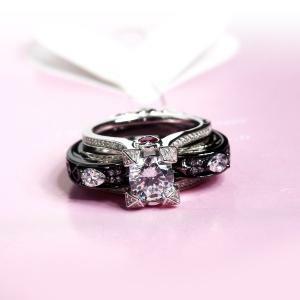 You can also pair it with our matching necklace to celebrate the happy moments. 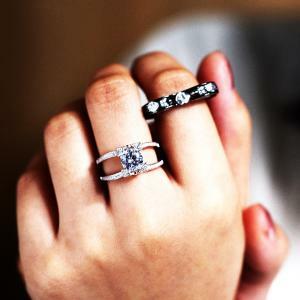 The bells of the church in the distance rang and then evoked my memories: the first time to hold hands, the first time to hug, the first time to kiss, except for the first romantic proposal you owed to me. 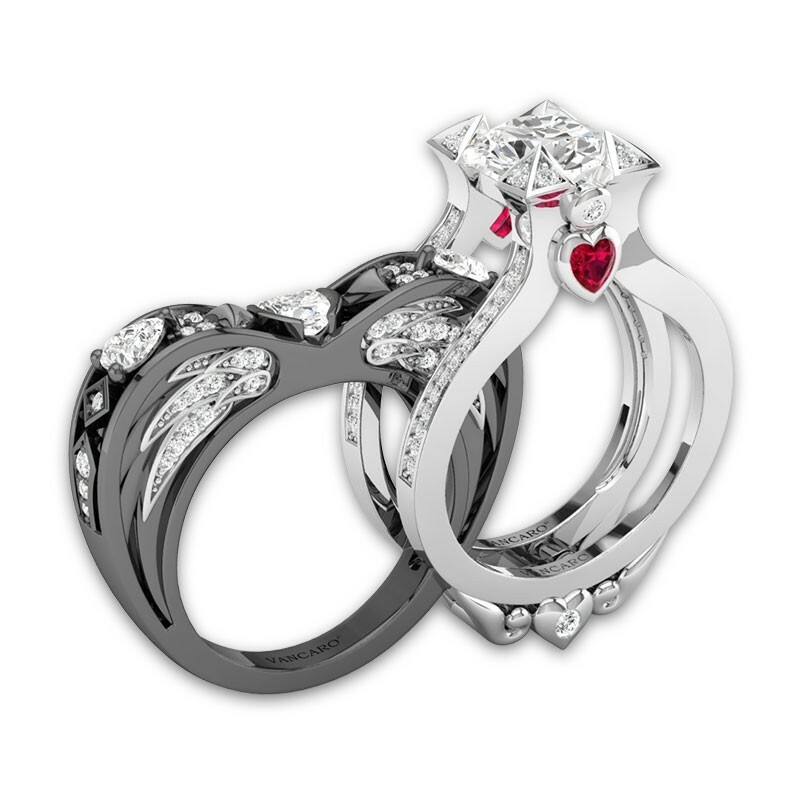 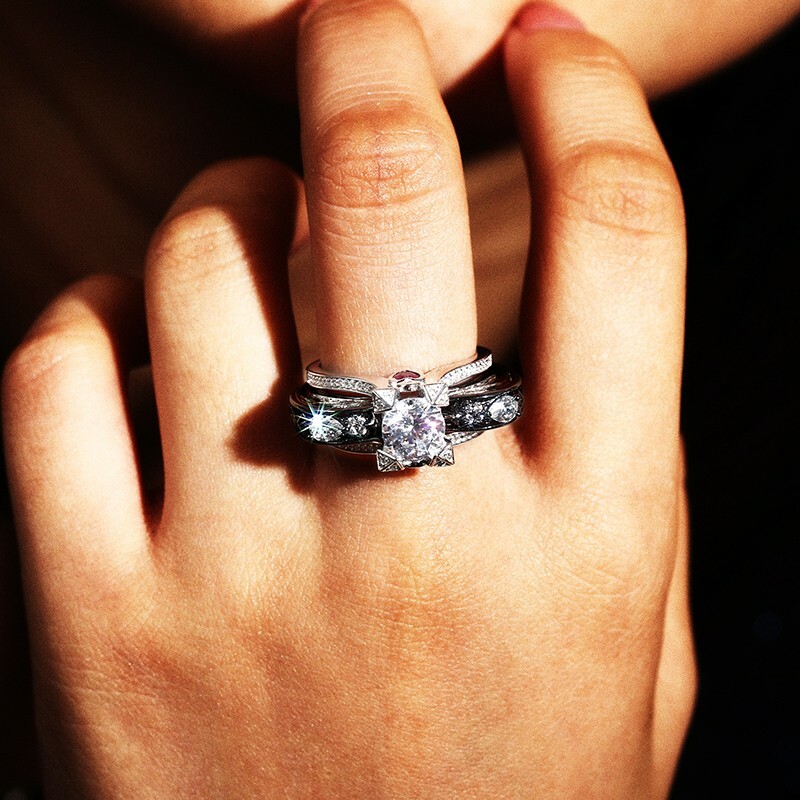 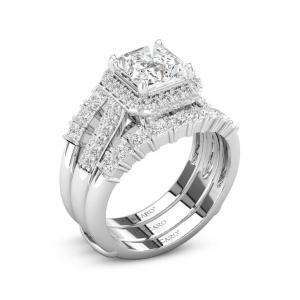 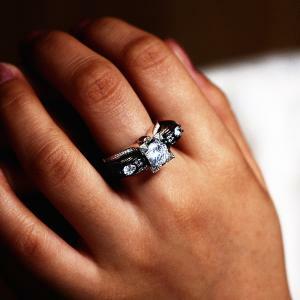 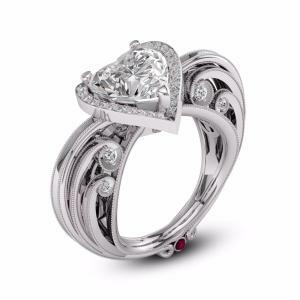 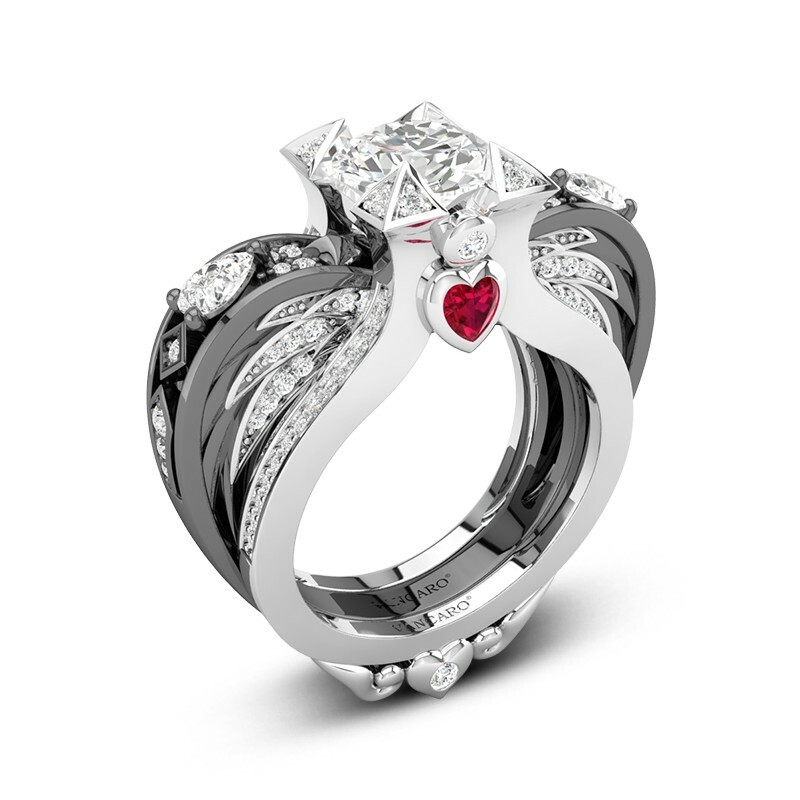 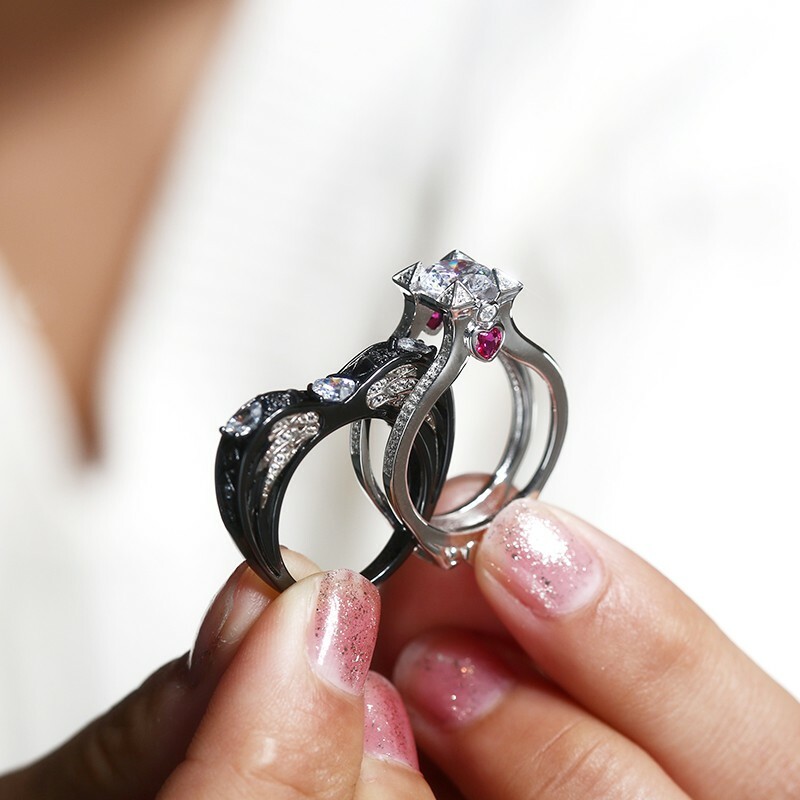 The same day in the future, when I see this angel ring, I can think of the vows that you made today.